As part of the foray into using Wordpress as CMS we are now setting up basic hosting services with the latest version of Wordpress installed so that clients can start from scratch and add all their own content, images and wordpress themes. We also set up the .htaccess so that permalinks work from the off and encourage an xml sitemap generator to help with basic SEO. 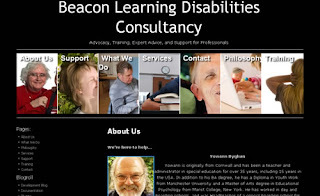 The latest of these is BeaconLearningDisabilitiesConsultancy, a lengthy URL but descriptive all the same. This is currently being edited and transformed by the client.